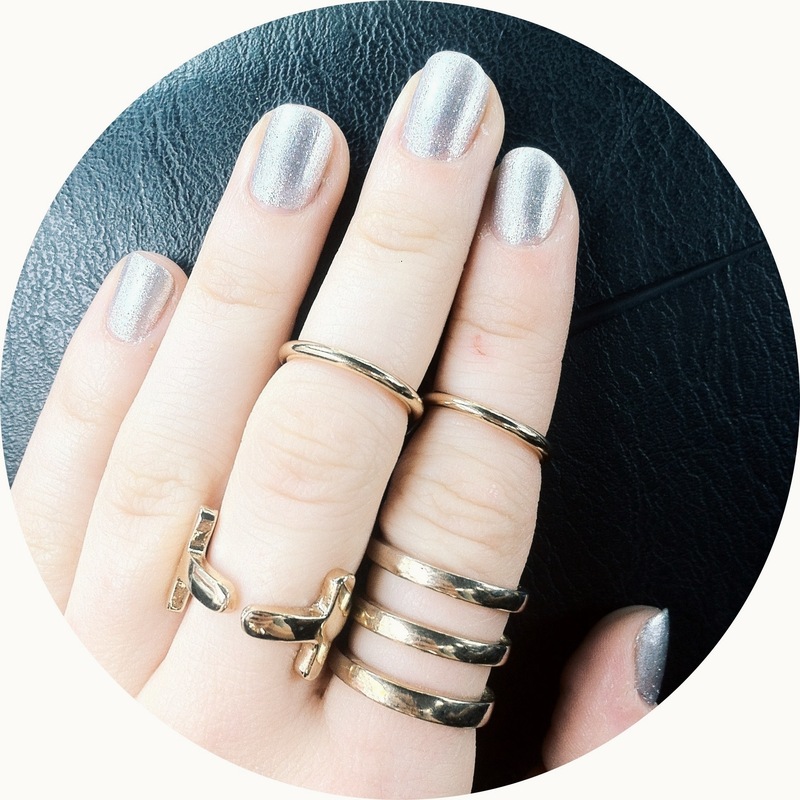 If you’re in need of a quick outfit pick-me-up try simple midi rings. Stack them atop various gold rings for added interest. 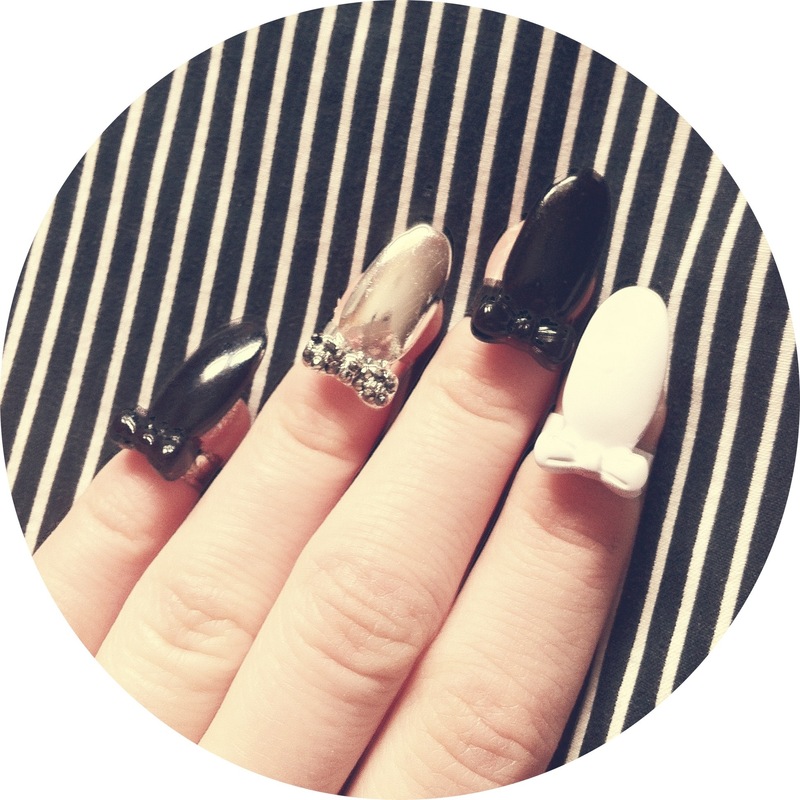 Or play it up by adding contrast with metallic silver nails! In an instant you’ll find you’ve added a chic edge to anything you’re wearing! out even more with a chunky bauble ring. for only 6$! 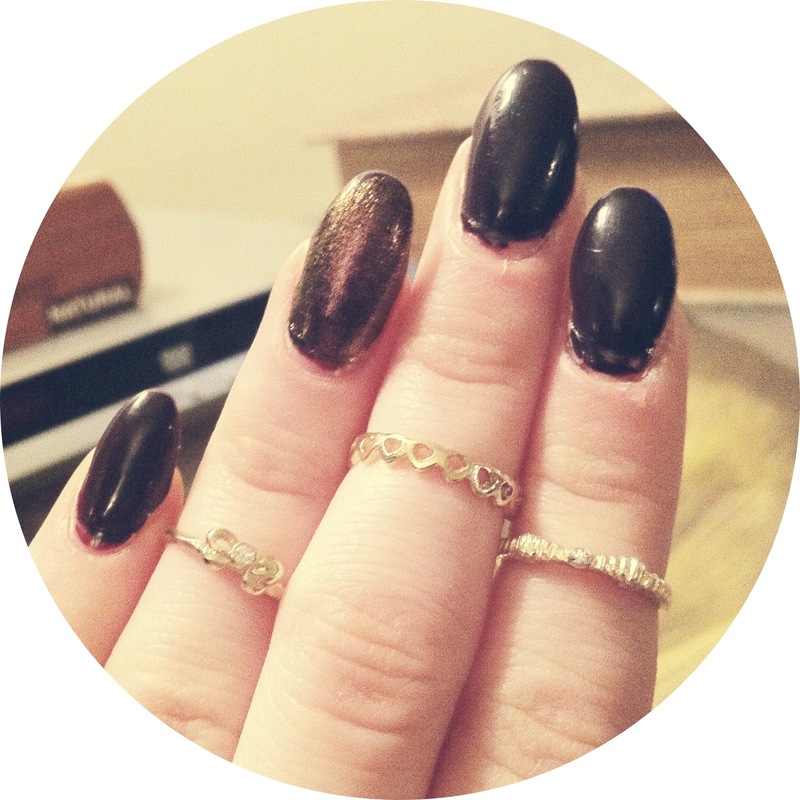 Same with the set of dainty gold knuckle rings. 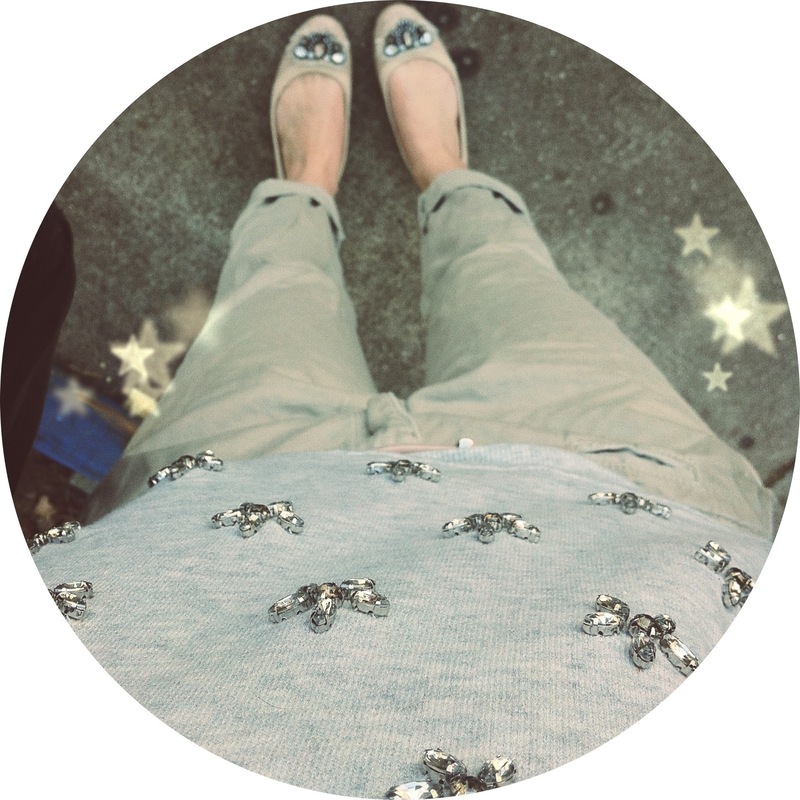 Only $5 at Forever 21, these little guys draw attention instantly! And as a bonus, they make your mani look fabulous! A huge trend we are going to be seeing hit stores this spring/summer is lucite accents. 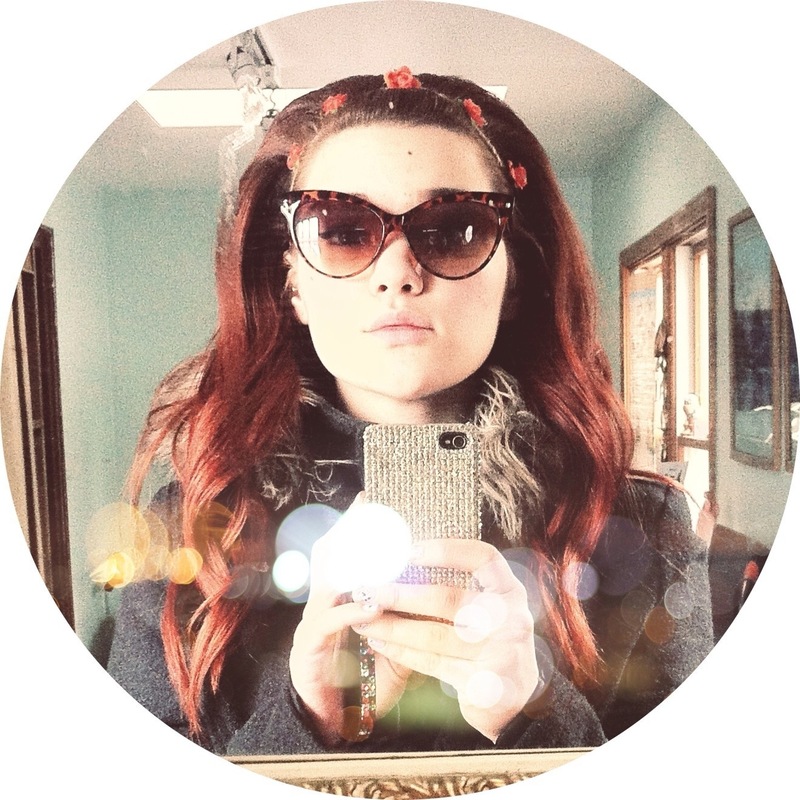 The best way to incorporate this trend in everyday outfits is through accessories. Rocking a full vinyl skirt or jacket might be a little too over the top for most people so try jewelry, purses or shoes first! 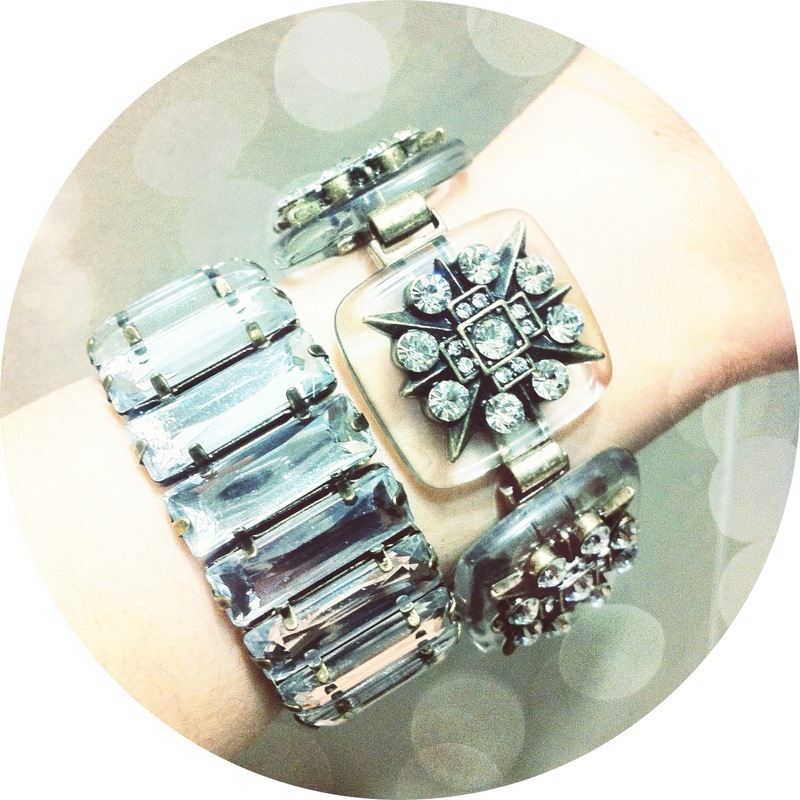 Clear bracelets detailed with gemstones are a great way to modernize a sleek ensemble. Same with clear cuffs and chunky rings. The bracelets above are also mixed with antique gold metals, tying in the Art Deco trend that is popular. 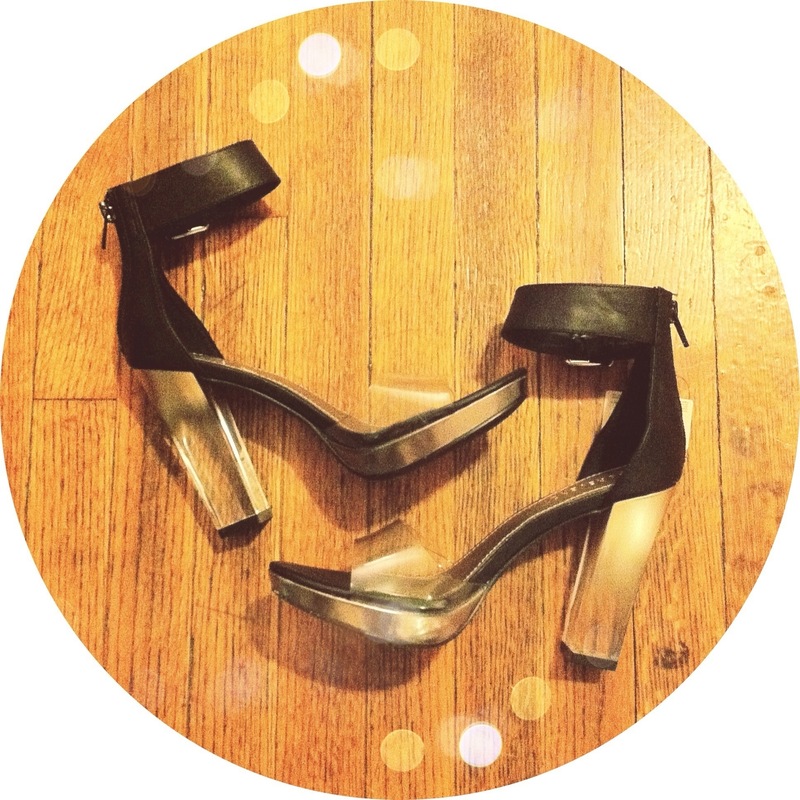 Lucite footwear is another way to wear this fun fad. 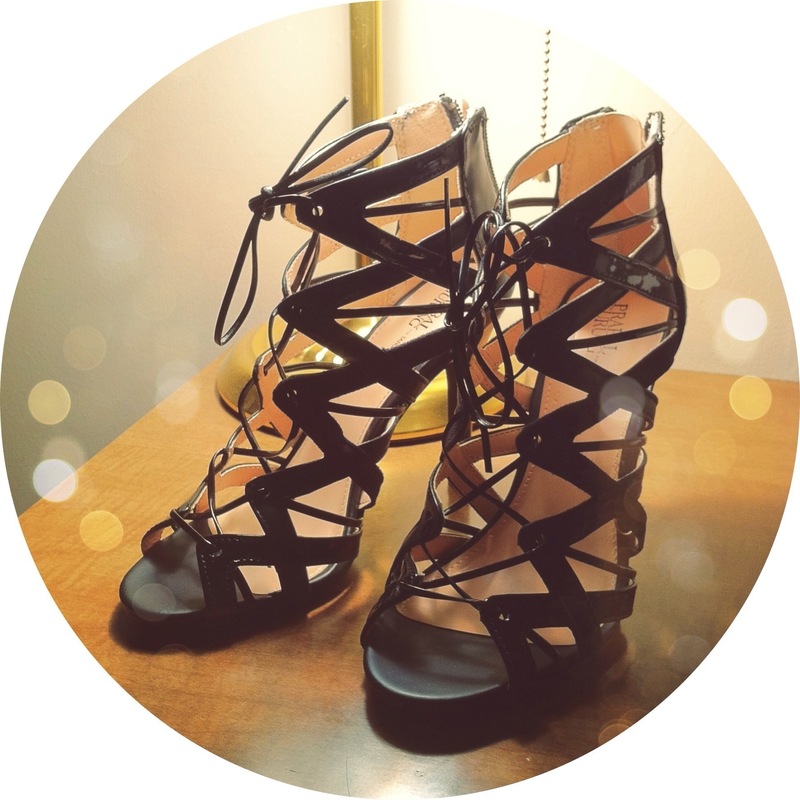 Clear details like the ankle straps, embellishments or heels can really update and transform your look. The heels above from Forever 21 feature black pleather ankle straps along with a clear plastic foot strap, accompanied by the chunky lucite heel. The black pleather keeps the overall shoe balanced. Too much lucite will send the wrong message and could be mistaken for a different kind of footwear, if you know what I mean! As long as you keep it basic and sleek, you can’t go wrong with clear accessories. A little goes a long way and with this trend it’s safe to say less is more! Target is one of my favorite places to shop, they always have interesting things you never expect to find. Well, when I saw a preview of the Prabal Gurung line that was going to be featured, I knew I had to have these heels! They are inspired by a ghilley, an Irish dance shoe. They are chic, trendy, and modern; a perfect finishing touch to any ensemble! Right now they are on clearance for 27$, so grab your own pair quick! They’re sure to be your go-to heels this spring and summer. 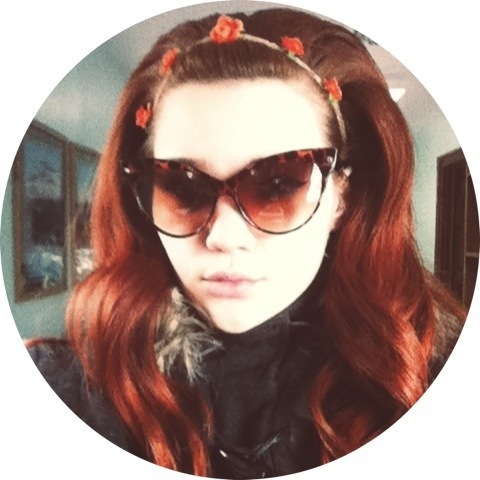 Today I decided to channel my inner Lana Del Rey with a retro inspired outfit for work. 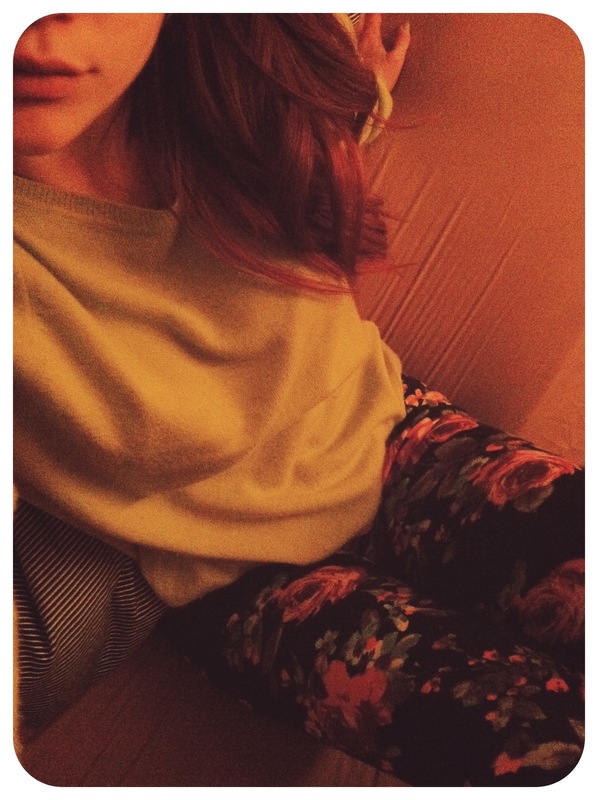 I went with floral leggings, a chartreuse crew neck sweater, basic black ballet flats, and topped it off with a floral headband and cat eye sunglasses and eyeliner. Very simple and basic, yet classic and chic. You can also take it a step further with red lips and stiletto nails for a non-work look! 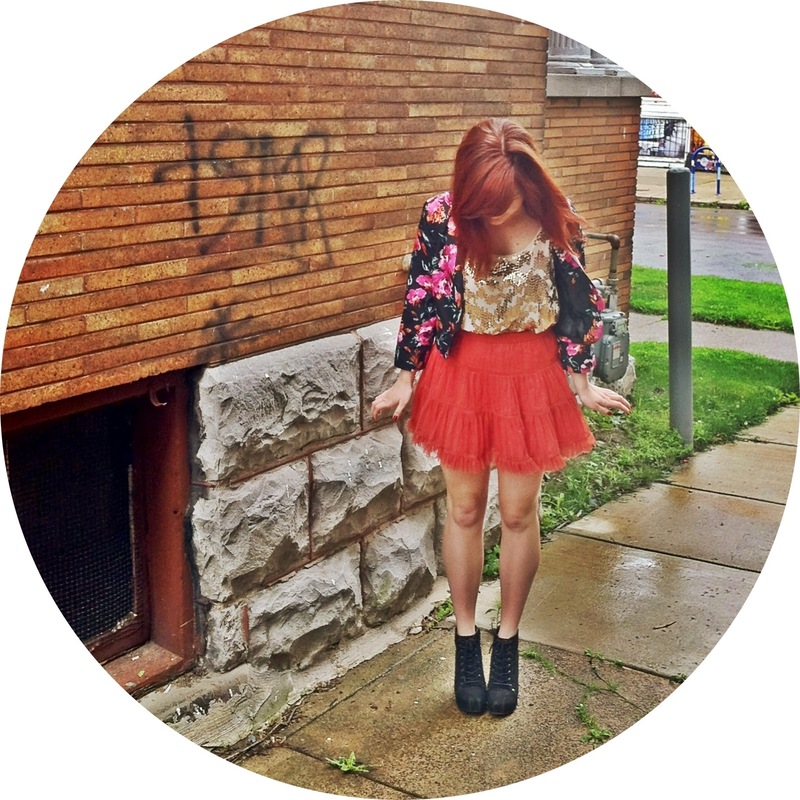 Some of my favorite pieces I have are cheap thrills I’ve stumbled upon at Plato’s Closet. You can really find crazy bargains that have been reduced over 50% from their original retail price. 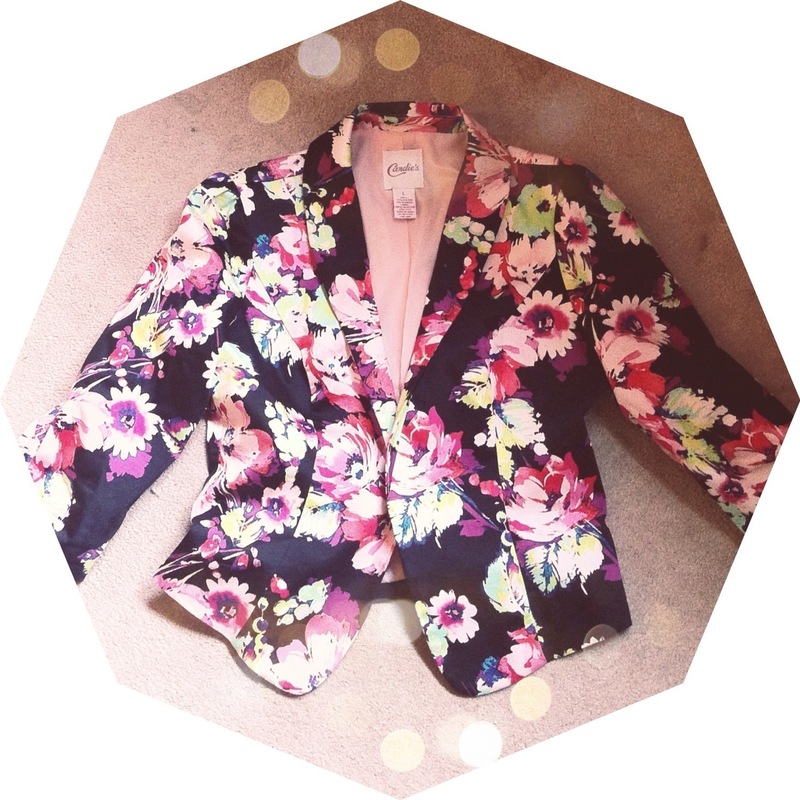 My latest trip there brought me to these two treasures; a Candie’s blazer and Asos top. The blazer is faux satin with the perfect floral print for spring. Printed blazers are going to be a huge trend this season and I definitely snatched this up the second I saw it, and for 8$ how could I say no?! The Asos top is tweed in the front and black fleece in the back. 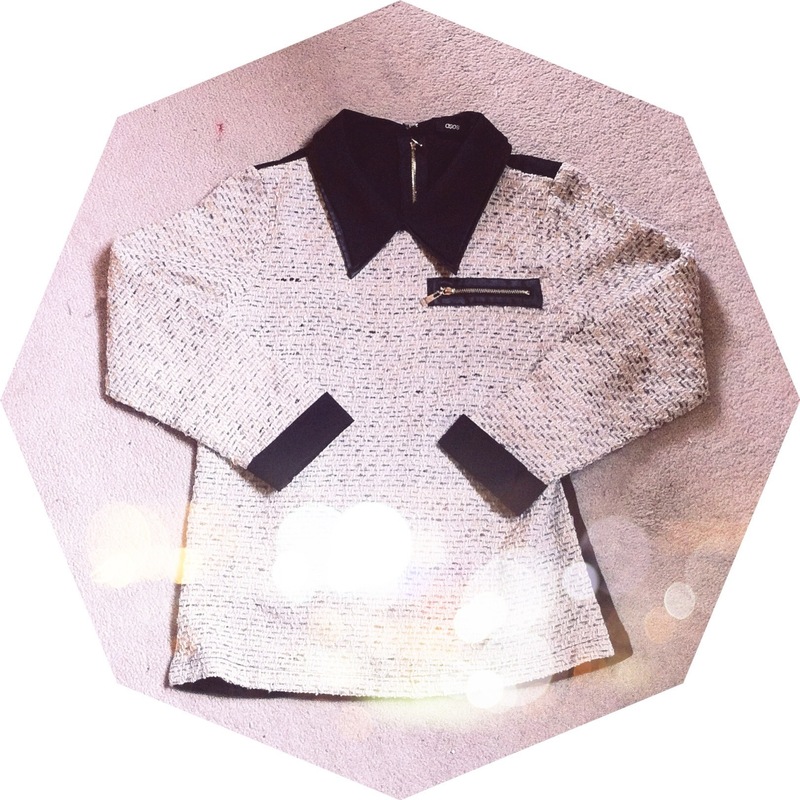 It has faux leather and chiffon cuffs and collar, with a gold zipper going down center back. It was too unique to put back, and only 12$! Tweed is always in style and this top is going to be a great transitional piece from winter to spring here in temperamental Buffalo. I definitely recommend you try Plato’s Closet BEFORE you hit the mall with your tax return or latest paycheck. You definitely will not be leaving empty handed! I enjoy making the most of my iPhone cases, as some of you my previously have noticed. 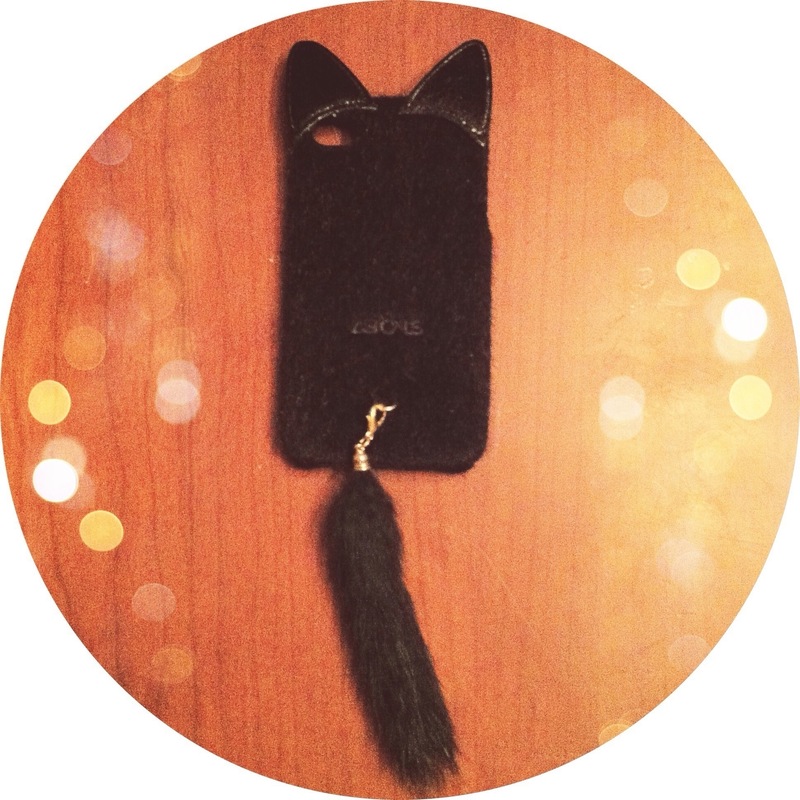 Well I’ve been searching for iPhone cases with tails, and I happened to stumble across this black cat case with not only a furry tail, but ears too! It was a steal, 6$ on eBay! Gotta love it. I’ve been a huge fan of the talon nail trend that we have even seeing for the past couple seasons. However, I’m not really a fan of getting acrylic nails or spending a lot of money for something I may not end up liking. 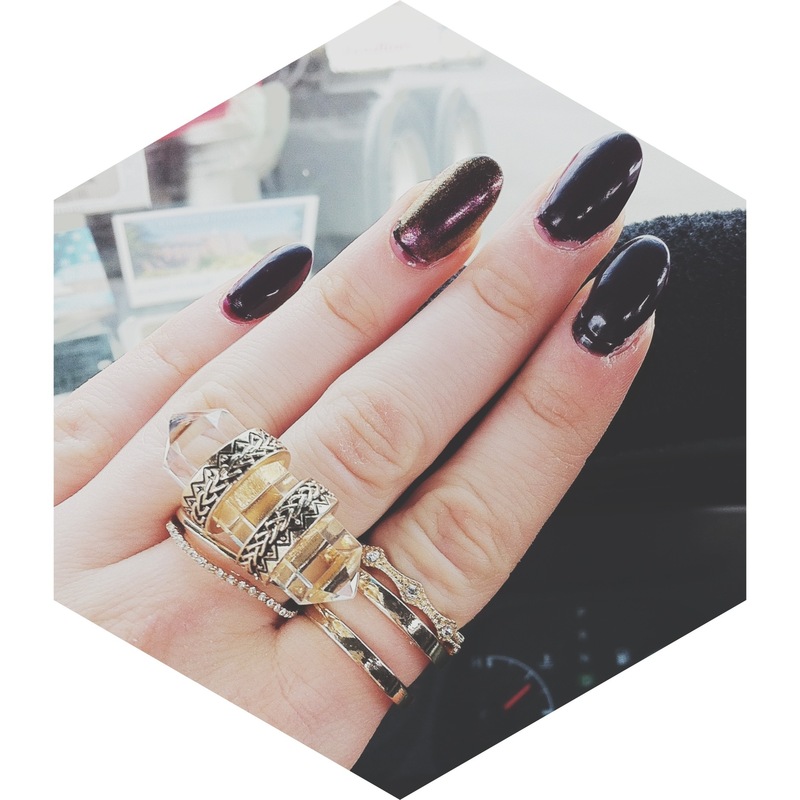 So when I stumbled upon this nail ring set at Claire’s, I knew I had to get them! They allow me to try the talon trend without actually dedicating myself to it. And after seeing my own hands with talon shaped nails, I may decide on getting them done!